Intech Equipment and Supply - banana oil kit replacement solution, 8 oz. Safety & Personal Protection → Allegro Industries → Respirators → Respirator Fit Testing → banana oil kit replacement solution, 8 oz. For quick fit testing the standard kit contains two 1 oz. 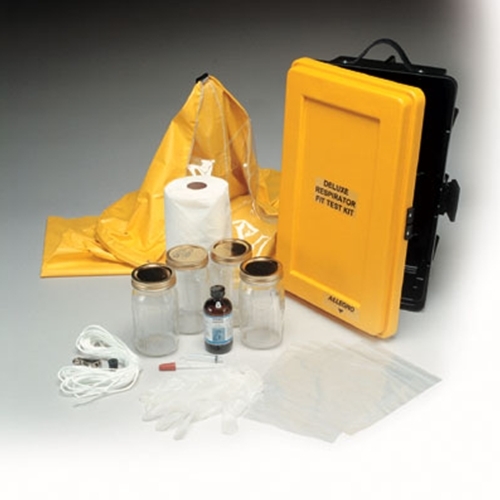 bottles of test agent, vinyl test enclosure, measuring pipette, and paper towels in a handy carry bag.